Find fun things to do in Kingston, ON. View our list of attractions, activities, events, restaurants and visitor information. Currently as low as $150.28/night! 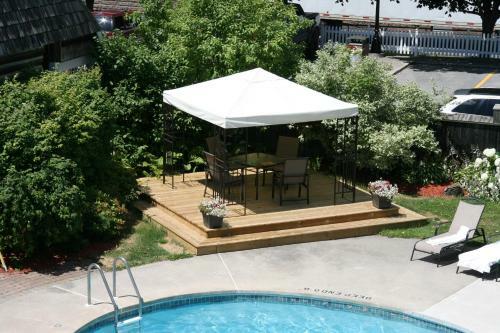 Housed in a 200 year old limestone mansion All Suites Whitney Manor is a self-catered accommodation located within a 5-minute drive from the city of Kingston. Elegantly and stylishly decorated this accommodation features free WiFi throughout. Free Internet, Pets Allowed, Non Smoking Rooms. Currently as low as $95.30/night! With a pool and water slide two hot tubs and an on-site restaurant and bar the non-smoking Ambassador Hotel & Conference Centre offers free Wi-Fi throughout the hotel. This mid-rise hotel has 246 smoke-free rooms with free Wi-Fi flat-panel cable TVs and coffeemakers. Free Internet, Indoor Pool, Restaurant, Pets Allowed, Non Smoking Rooms. In-room microwaves and free Wi-Fi top the list of perks at the Bayside Inn & Waterfront Suites bordering Collins Bay. Free Internet, Free Breakfast, Pets Allowed, Non Smoking Rooms. Currently as low as $123.80/night! 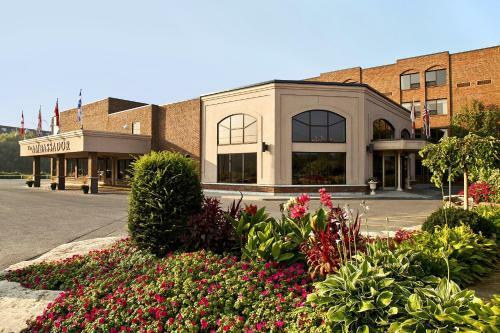 With free hot breakfast an on-site restaurant and outdoor pool the non-smoking Best Western Fireside Inn earns high marks from our guests staying in Kingston. Swimming Pool,Outdoor Pool, Restaurant, Pets Allowed, Non Smoking Rooms. Currently as low as $85.37/night! 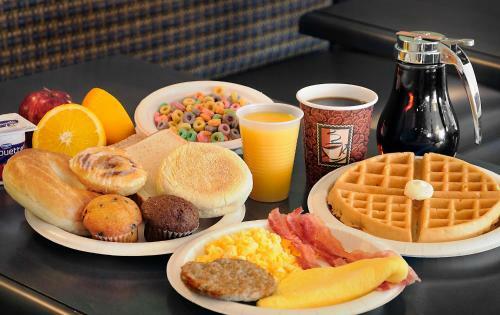 Free hot breakfast and comfortable rooms with free Wi-Fi at Comfort Inn Hwy. 401 get our guests set for a day of exploring Kingston. The 101 rooms in this two-story Comfort Inn come with desks coffeemakers and flat-panel TVs with cable. Free Internet, Pets Allowed, Non Smoking Rooms. Currently as low as $77.08/night! The waterfront Confederation Place Hotel located in downtown Kingston on Kingston Harbour features rooms with flat-screen cable TVs and free WiFi. The hotel offers an outdoor pool and hot tub.Rooms provide hairdryers ironing facilities and coffee makers. Free Internet,Outdoor Pool, Pets Allowed, Non Smoking Rooms. Currently as low as $62.38/night! Located 9 km east of downtown Kingston Countryside Inn is within a 10-minute drive of Fort Henry. Free in-room WiFi is available.Each simply furnished guest room at Countryside Inn is equipped with cable TV and air conditioning. Free Internet, Pets Allowed, Non Smoking Rooms. Currently as low as $110.03/night! Free Wi-Fi complimentary parking and an indoor pool with a water slide make the non-smoking Courtyard by Marriott Kingston a favorite with our guests. The Courtyard has 128 non-smoking rooms on four floors. Free Internet, Swimming Pool, Indoor Pool, Free Breakfast, Restaurant, Non Smoking Rooms. 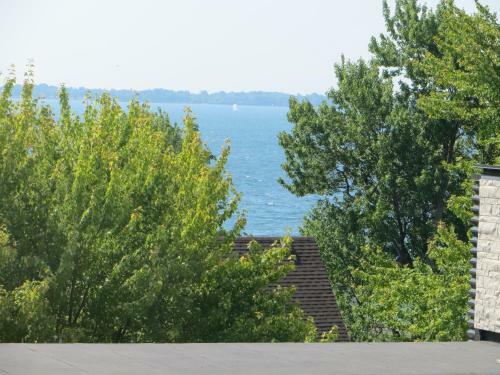 Situated on the Queen's University campus in Kingston David C. Smith House offers air-conditioned rooms with free WiFi.Each suite has 2 bedrooms with a double bed in each. 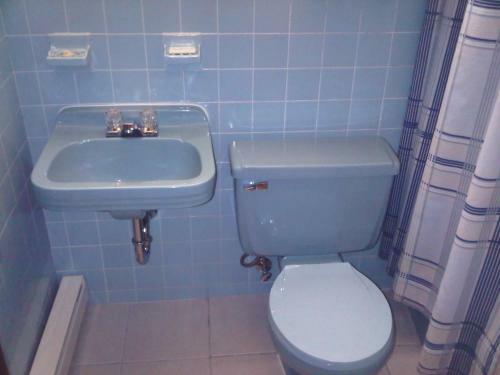 Amenities include a flat-screen TV and private bathroom. Free Internet, Non Smoking Rooms. Water views from every room and an on-site restaurant make the non-smoking Delta Hotels By Marriott Kingston Waterfront an amenity-rich choice in downtown Kingston. Free Internet, Swimming Pool, Indoor Pool, Restaurant, Pets Allowed, Non Smoking Rooms. Currently as low as $128.47/night! Donald Gordon Conference Centre is located in Kingston in a quiet residential area on the campus of Queens University. The property includes free WiFi and a daily breakfast. Free Internet, Non Smoking Rooms. Currently as low as $91.09/night! Free breakfast free parking free Wi-Fi and an on-site restaurant at Econo Lodge City Centre Kingston fill the bill for our guests traveling on a budget. The low-rise hotel has 46 rooms that come with desks coffeemakers and cable TV. Free Internet, Restaurant, Pets Allowed, Non Smoking Rooms. Centrally located in Kingston Ontario this non-smoking motel is about 5 minutes' drive from Highway 401. 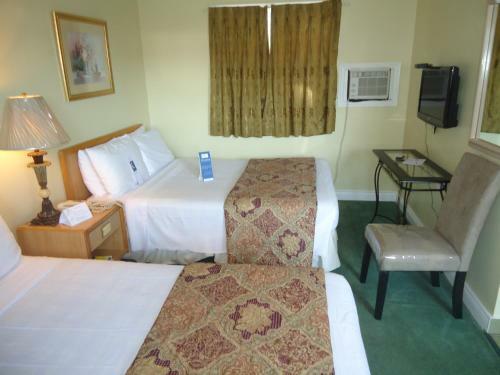 Cable TV is available in all rooms and all areas of the motel are air conditioned.Local calls and Wi-Fi are provided free of charge in all rooms at Embassy Motel. Free Internet, Non Smoking Rooms. Currently as low as $66.16/night! This hotel in Kingston Ontario features an indoor pool with hot tub. 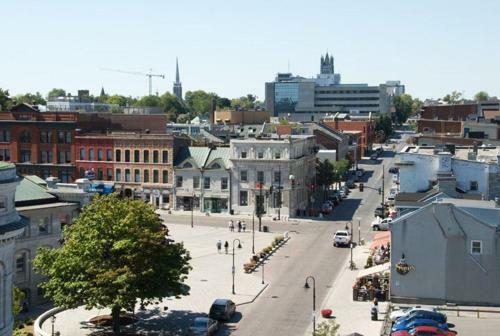 Guest rooms include free WiFi and the hotel is 4.5 km from Queen's University.Each room at the First Canada Inn is furnished with a microwave refrigerator and coffee facilities. Free Internet, Indoor Pool, Pets Allowed, Non Smoking Rooms. Currently as low as $127.70/night! 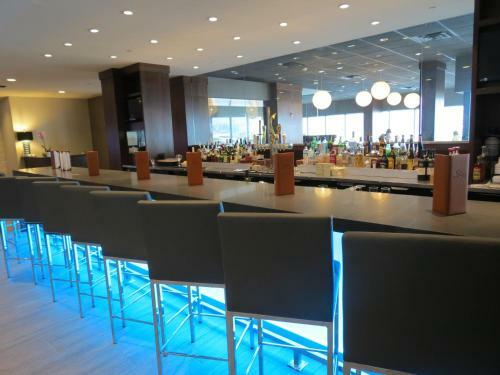 A restaurant bar indoor lap pool and location two blocks from the waterfront make the non-smoking Four Points by Sheraton Hotel and Suites Kingston a favorite choice of our guests. The nine-story hotel has 171 non-smoking rooms featuring city or lake views. Free Internet, Swimming Pool, Restaurant, Pets Allowed, Non Smoking Rooms. Currently as low as $100.44/night! 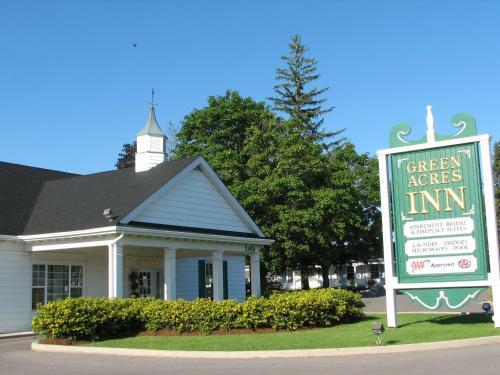 Featuring lush flower gardens and a selection of spa services this family-owned inn is 3.5 km off Highway 401 and 5 km from the Kingston city center.The elegantly decorated rooms of the Green Acres Inn provide a flat-screen cable TV microwave and a refrigerator. Free Internet,Outdoor Pool, Pets Allowed, Non Smoking Rooms. Green Woods Inn is located in Kingston 5 km from Fort Henry and offers free WiFi. 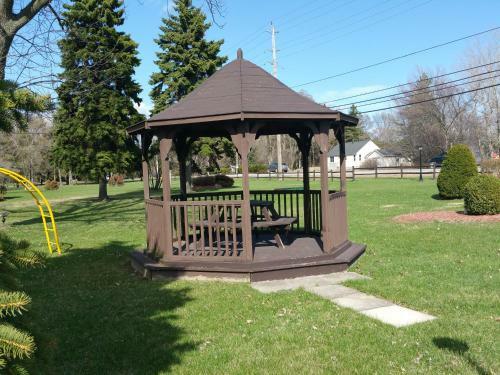 The property is situated 6 km from K-Rock Centre and 7 km from Queen's University. Guests can make use of a garden.All units at the bed and breakfast are fitted with a seating area. Free Internet, Pets Allowed, Non Smoking Rooms.